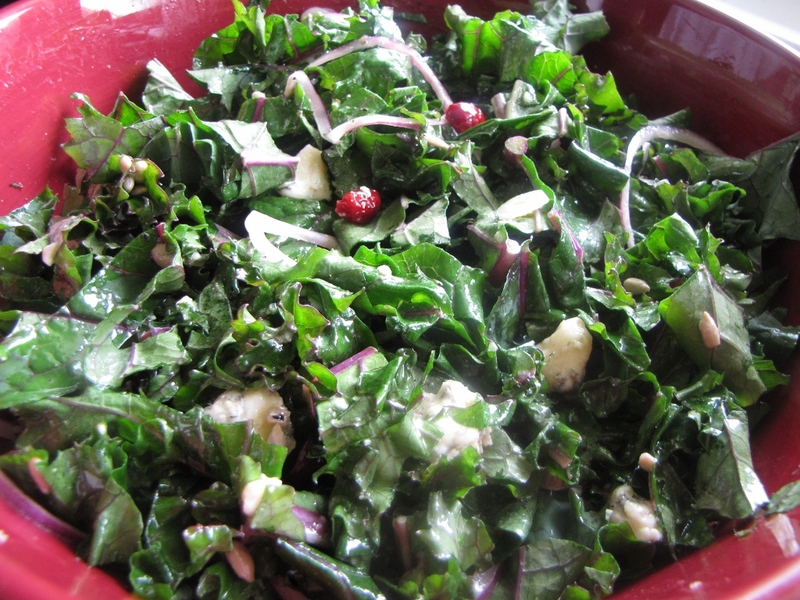 Needless to say, all this kale talk left me with a hankering for kale prepared as a salad in some way. My inspiration? The Farmer’s Market. Last week there was loads of fresh kale and then I stumbled across this lovely, locally-made blue cheese (R&G Cheese) and that did it for me. This blue cheese is made from cow’s milk. 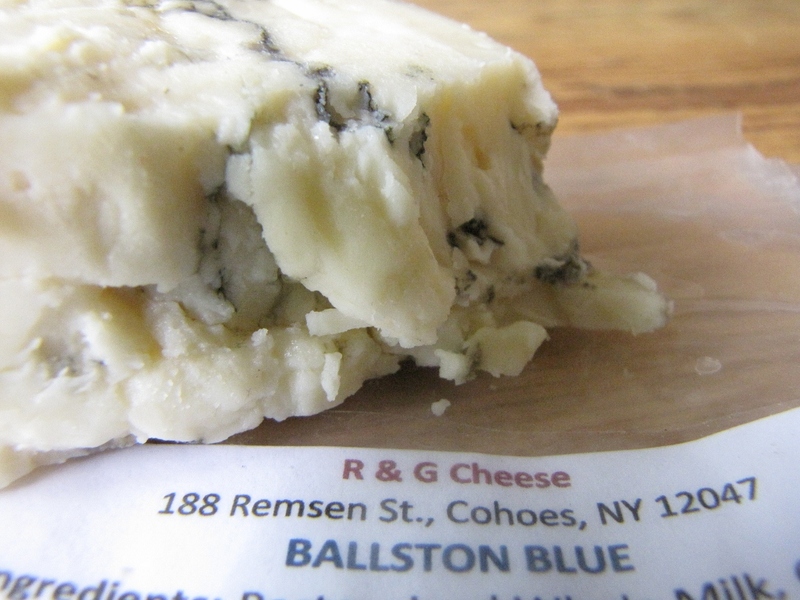 It’s called ‘Ballston Blue’ because the dairy is located in Ballston Spa, NY. I can’t tell you how many this will serve because I ate the entire bowl, with the exception of about a half cup, myself. Mature kale greens can be a little tough which is why they lend themselves especially well to chips or to cook. For this recipe, the kale isn’t cooked so it’s important to use a young, tender or baby kale. Slice very thin similar to the way you would slice cabbage for slaw. Place in a large bowl and then add the crumbled cheese, dried cranberries, sunflower seeds and onion. Combine the dressing ingredients. Taste. Adjust as needed and then dress the kale. Since kale is a hardier green, you can dress this salad in advance without worrying about it wilting the salad. In my opinion, this salad is even better after it sits in the dressing for about 15 minutes or so.